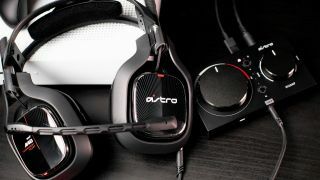 Gaming peripheral maker Astro has announced a new version of its famous A40 TR Gaming Headset and MixAmp Pro, promising better sound and a few other perks to please competitive and casual gamers alike. Astro claims it upped the audio quality after collaborating with pro gamers to get their input. The new headset packs Astro’s Audio V2 enhancement that will offer “a more balanced signature sound” and improved voice quality, especially for gamers and streamers. Besides some tweaks to the audio quality, there doesn’t seem to be a huge change to the design of the headset: it’s still open-back with a removable mic and swappable earplates. It's also still compatible with Astro's Mod Kits that exchange the open-back speaker tags for closed-back ones, and add improved noise-cancellation the microphone. If you’re looking to up your game, the newly redesigned MixAmp Pro TR also supports Astro Audio V2, a 20 to 24,000 Hz frequency response and continues to offer the ability to daisy-chain MixAmps and headsets together for team play. Like last generation's model, the A40 will be sold in two configurations – either Xbox One/PC version or a PS4/PC version) for $149.99 (£149, around AU$200). Or you can get it packaged with the MixAmp Pro TR for $249.99 (£249, AU$439). The new A40 Headset and MixAmp are available now on both Astro's US and UK website, and units will begin appearing in stores and online later this month.